Boost productivity with Syntax Highlighting, Solution Navigation, Banner and Jump List organization. 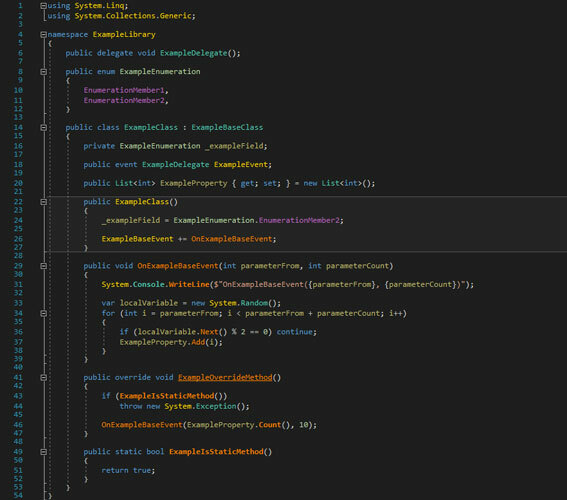 Codinion provides syntax and semantic highlighting for C# and VB. 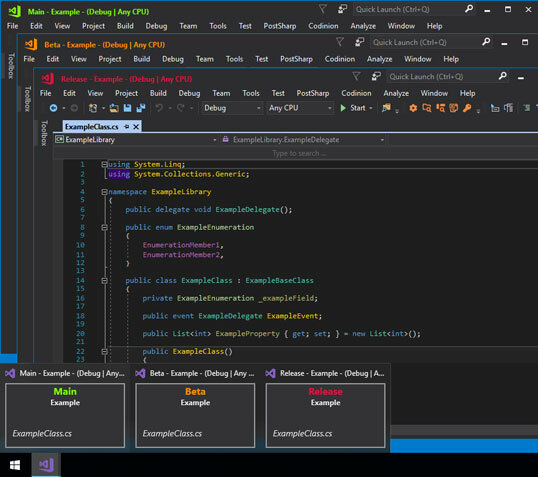 It comes with two default color themes for the light and dark Visual Studio. Furthermore, you could change all colors according to your needs. 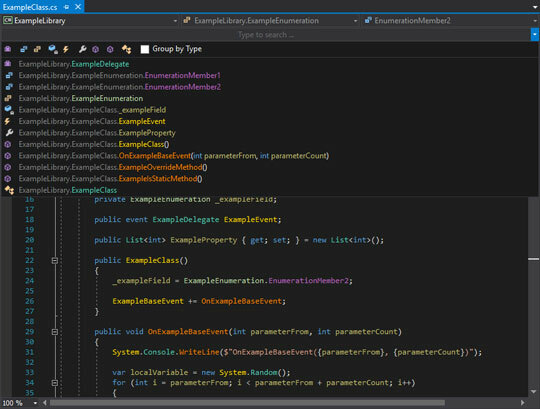 It adds a symbol searchbar to every C# and VB code window which helps finding Methods, Fields, Properties, Events, Classes. The searchbar provides different search options like include, exclude or acronyms. It contains an open file in solution dialog which is able to find every file in an solution and can open it directly. This dialog supports the same search options as the symbol searchbar. The find symbol in solution dialog helps to find symbols across all files in a solution. 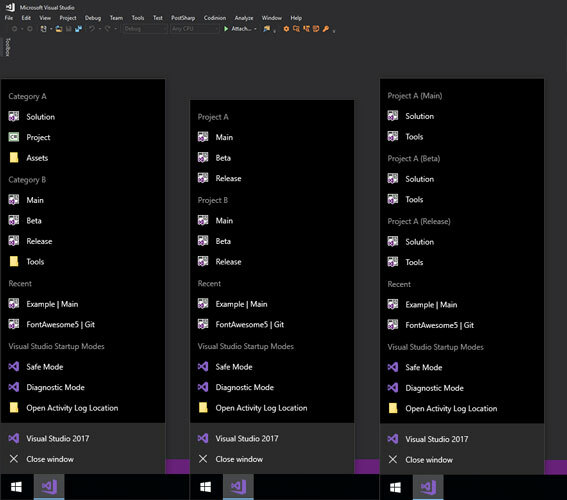 Visual Studio Banner are very helpful if you work with any source control system like svn, git or else and have to work with the same solution from different branches. You can define the banner for each branch which helps to identify the solution. The banner will replace the visual studio thumbnail from the windows taskbar icon (windows 7 required).